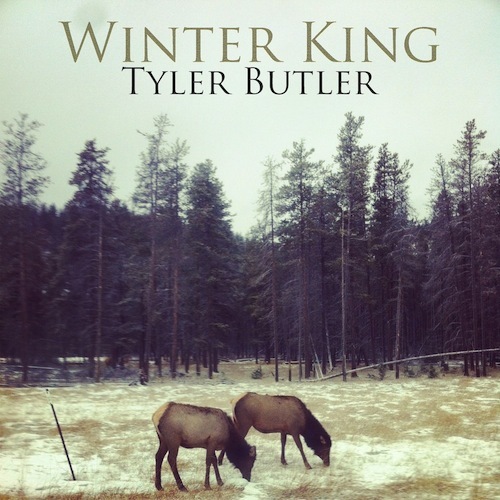 Yer Bird Records is pleased to re-release Butler’s 2011 Winter King album (Old Ugly Recording Co). The 2012 revamped album includes the original eight tracks plus a new version of the fan favourite Feral Horse and closes with the previously unheard title track Winter King. The album was recorded in Butler’s home late in 2010 and captures the desolation and bone chilling cold of a northern Alberta winter. Butler re-mastered four of the tracks known as the House Painter EP* to create a brighter, fuller sound for the 2012 release. The folk compositions of Winter King draw heavily upon borrowed winter mythology. Butler expertly weaves fantastic creatures and characters into his complex and controlled poetry. His confident voice and grounded narratives invite the listener into a profound depiction of his hometown.